Molasses on pancakes of the future? Not on my watch. The recent and distinctly Canadian cold snaps we've been saddled with of late may have you more focused on your layering game than global warming concerns (and do continue to swaddle in style). But with 15,000 scientists signing their names to a global warning against global warming, allow it still to steadily beep on your radar and tend to your carbon footprint accordingly. In fact, whatever your plans this weekend, it may prove fruitful to recycle a bit more aggressively, lower the heat (see layering above), or take public transport instead of the family sedan. You may also want to make time for a Sunday brunch that involves some breakfast comestible you can put maple syrup on — because all these global warming concerns might well spell extinction for a symbolic pillar of our national identity: sugar maples. New research suggests that the end is nigh for the only vegetation on the planet that has the near mythical ability to produce maple syrup. Science says the singular species will struggle to weather the warmer, dryer climes we're almost certainly headed for (yes, I'm using puns and alliteration so you focus — this is urgent). A study that sought to examine air pollution, which does us no real favours, as a catalyst to infuse forest soils with fertile traces of nitrogen has found that it just won't be (as they'd hoped) enough to buttress maple growth. Examining 20 years worth of soil data as it pertained to four wooded locations in Michigan has confirmed that an impending lack of water will stunt and stymie tree growth. Projections based on best and worst case scenarios were run. Scenario one explored tree growth over the next century if carbon dioxide emissions decrease to allow only moderate shifts in temperature (1℃). Scenario two was based on current emissions which indicate a rise of 5℃ or more over the same period. Neither were favourable – both scenarios show a marked decline in growth. But in scenario two (ie real life), maple growth was all but nil. It almost halted entirely even with the nitrogen-rich soil boost. Researchers are adamant that maples will disappear if that happens. Yes, we're headed for a future devoid of syrup, a future with no authentic maple fudge, a future with questionable food choices. What will our children put on their pancakes? Honey? Ya, if there are bees left, ugh. Molasses? Ungodly. Jam? Okay, jam on pancakes sounds wonderful but not as wonderful as sweet, golden maple tree nectar. 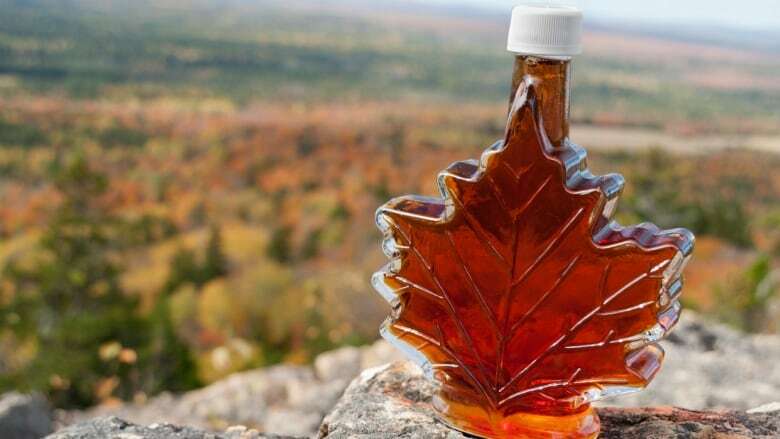 Culinary concerns aside for a moment, note that 71% of the world's pure maple syrup is produced right here from sea to shining sea (91% of that in Quebec but Ontario, New Brunswick, PEI and Nova Scotia all have a tap in the maple industry). Over 8,600 maple businesses call Canada home (sweetening our economy by $439.7 million). If industry and economy don't have you girding up your loins to fight the good fight against global warming, there's wellness to consider. Some evidence supports the stuff's impressive albeit lesser explored health properties. Aside from being chock full of phenols (long recognized as antiseptics and antioxidants), maple syrup is also nutrient rich in calcium, iron, magnesium, potassium, zinc and B6. One study showed that phenols in maple syrup even bolstered the benefits of antibiotics to help us fight off treatment-resistant superbugs. Still, even if we could fight off superbugs without maple syrup, why would we want to!? Tangentially, where will squirrels live? Are we really going to relegate Canadian squirrels to live in Oak or Beech trees like some American species? And what will become of our flag? With maple trees extinct, it'll be like having a T-Rex as an national emblem . More crucially, our current planetary practices continue to cause the following: a decline in freshwater availability, unsustainable marine fisheries, ocean dead zones, forest losses, dwindling biodiversity, climate change, and population growth. Although reports indicate that our climate target initiatives are progressing positively, why rest on our laurels (read maples)? Most of the above are pretty problematic but allow me to linger selfishly on one we might be inclined to gloss over — FOREST LOSSES. You know what lives in forests? Well, aside from EVERYTHING WILD (see dwindling biodiversity), MAPLE TREES. Let's please not allow our foibles to endanger our national identity, or our breakfast foods. Marc Beaulieu is a Montreal writer, producer, performer, professional host and mental health advocate whose one true love is weird news. World Environment Day is hosted by Canada this year but are we worthy?